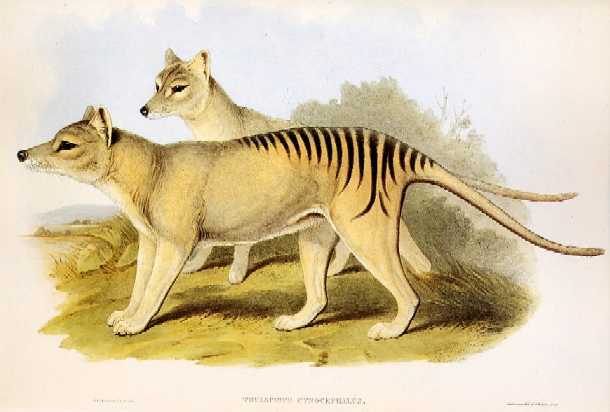 The official extinction in 1936 on Tasmania of the remarkable thylacine (aka Tasmanian tiger and Tasmanian wolf – Tassie for short) Thylacinus cynocephalus, that tiger-striped canine marsupial mammal as big as a wolf but which could hop like a kangaroo and had a pouch like one too, is well-documented, as is its much earlier disappearance a couple of millennia ago on the Australian mainland. 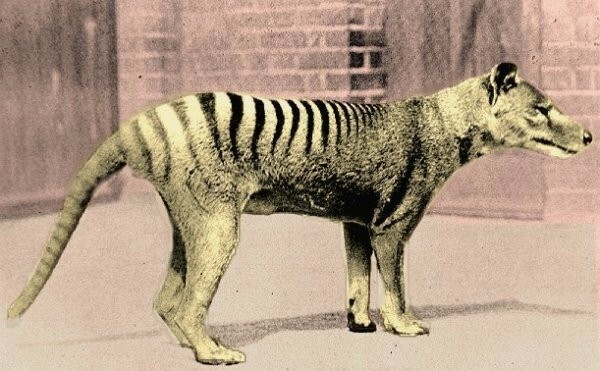 Less familiar, conversely, is the fact that during the Pleistocene epoch, ending a mere 11,700 years ago, the thylacine also existed on New Guinea. 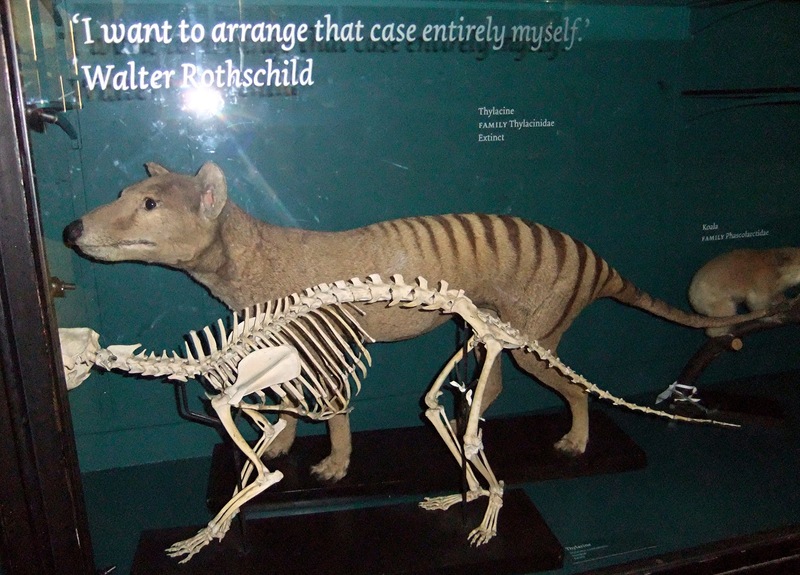 Similarly, whereas the chronicles of cryptozoology are fairly bulging with unconfirmed post-1936 thylacine sightings both on Tasmania and in mainland Australia, it is not so well known that modern-day reports of suspiciously thylacine-like beasts have also emerged from New Guinea, specifically Irian Jaya (New Guinea’s less-explored western, Indonesian half), where such creatures are referred to by local people as the dobsegna. During the early 1990s, grazier Ned Terry visited Irian Jaya and procured the following details from local testimony. Rarely seen in daylight, the dobsegna generally emerges from its den in rocks or caves at dawn or dusk, to hunt for small prey animals. Its head and shoulders are dog-like, but its mouth is huge and strong, and its tail is very long and thin. Villagers claim that from its ribs to its hips it has no intestines (but this merely suggests that it is very thin in this particular body region), and that in this region it is striped. Needless to say, this is a remarkably accurate verbal portrait of a thylacine, from the canine head and exceptionally powerful jaws to the slender stripe-adorned hindquarters and lengthy tail. 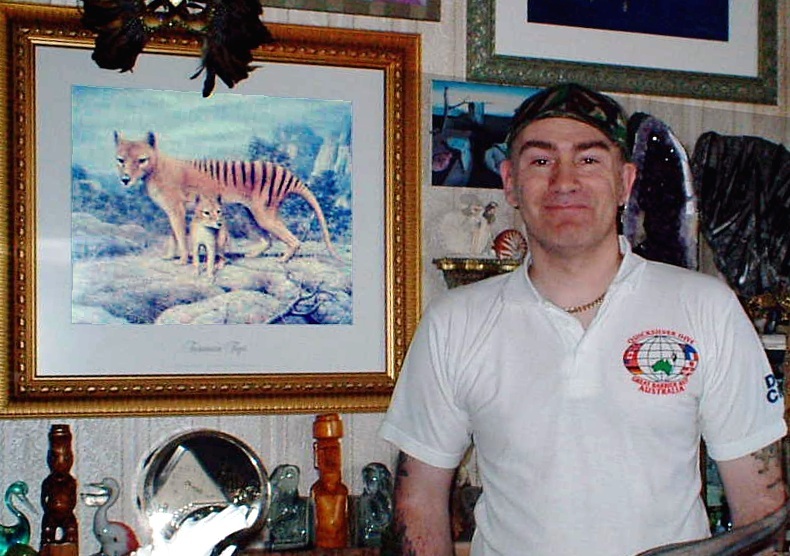 Moreover, in 2003 veteran Irian Jaya explorer Ralf Kiesel confirmed to me that since 1995 there have been persistent rumours of thylacines existing in at least two sections of Irian Jaya’s Baliem Valley – the Yali area in the valley’s northeast region, and the NP Carstenz in its southwest. The latter area is of particular significance because back in the early 1970s Jan Sarakang, a Papuan friend of Kiesel, had a most startling experience while working with a colleague in the mountains just west of NP Carstenz. They had built a camp for some geologists near Puncac Jaya at an altitude of roughly 1.5 miles and were sitting by their tents that evening, eating their meal, when two unfamiliar dog-like animals emerged from the bush. One was an adult, the other a cub, and both appeared pale in colour, but most striking of all was their stiff, inflexible tails, and the incredible gape of their jaws when they yawned spasmodically. Clearly drawn by the smell of the food, the two animals walked nervously from side to side, eyeing the men and their food supplies, and approaching to within 20 yards. Eventually the cub became bold enough to walk up to the men, who tried to feed it, but when one of them also tried to catch it, the cub bit his hand and both animals then ran back into the bush and were not seen again. Except for their seemingly unstriped form, which may well have been a trick of the moonlight, once again these animals recalled thylacines, especially with respect to their stiff tails (a thylacine characteristic) and huge gapes. Worth noting is that the thylacine could open its mouth beyond an amazing 120 degrees – far more than any true dog or wolf can do. Searches for the thylacine on Tasmania and in mainland Australia continue on a frequent, but habitually unsuccessful, basis. Perhaps it is time for Tassie seekers to turn their attention elsewhere – to the verdant, shadowy mountain forests and caves of Irian Jaya.